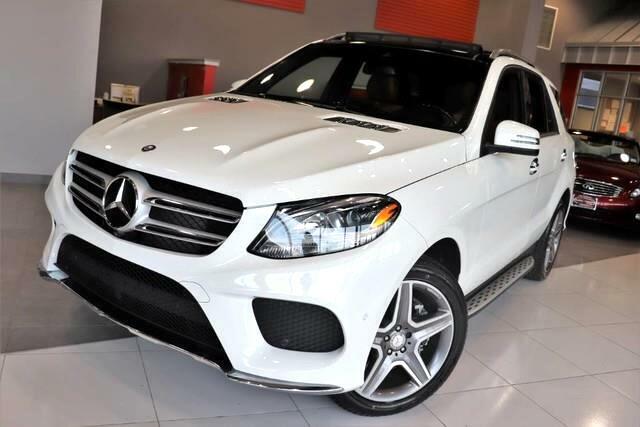 Check out this gently-used 2017 Mercedes-Benz GLE we recently got in. This Mercedes-Benz includes: WOOD/LEATHER STEERING WHEEL Steering Wheel Audio Controls Leather Steering Wheel PREMIUM 2 PACKAGE Pass-Through Rear Seat Headlights-Auto-Leveling WHEEL LOCKS (PIO) Wheel Locks PARKING ASSIST PACKAGE Automatic Parking Back-Up Camera LANE TRACKING PACKAGE CODE Lane Departure Warning Lane Keeping Assist Blind Spot Monitor POWER FRONT SEATS W/DRIVER MEMORY (STD) Seat Memory Power Passenger Seat Power Driver Seat PANORAMA SUNROOF Panoramic Roof Generic Sun/Moonroof Sun/Moonroof Dual Moonroof INTERIOR SPORT PACKAGE Floor Mats Bucket Seats 10-WAY POWER PASSENGER SEAT BRUSHED ALUMINUM RUNNING BOARDS Running Boards/Side Steps WHEELS: 20 AMG 5-SPOKE ALLOY W/TITANIUM GREY (STD) Aluminum Wheels DESIGNO PORCELAIN/BLACK EXCLUSIVE NAPPA LTHR PKG SADDLE BROWN/BLACK, LEATHER UPHOLSTERY Leather Seats HEATED FRONT BUCKET SEATS (STD) Power Passenger Seat Power Driver Seat Heated Front Seat(s) Driver Adjustable Lumbar Bucket Seats *Note - For third party subscriptions or services, please contact the dealer for more information. * Treat yourself to an SUV that surrounds you with all the comfort and conveniences of a luxury sedan. This Mercedes-Benz GLE GLE 400 4MATIC - AMG Sport Pkg's level of quality is not meant for just anyone. It's meant for the person who strives for a classy, comfortable, and luxurious car. No matter the weather conditions or terrain, this Polar White AWD Mercedes-Benz GLE handles with an elegant confidence. Fine interior appointments complement this vehicle's unprecedented performance. It's not often you find just the vehicle you are looking for AND with low mileage. This is your chance to take home a gently used and barely driven Mercedes-Benz GLE. Added comfort with contemporary style is the leather interior to heighten the quality and craftsmanship for the Mercedes-Benz GLE No Credit / Bad Credit / No Paystubs, No problem !! ! All Approved ! Everyone drives ! CLEAN, GORGEOUS, LOW MILES, SHOWROOM CONDITION. CALL NOW QUALITY CERTIFIED up to 10 YEARS 100,000 MILE WARRANTY , To Certify a vehicle, there will be an additional cost for Certification. CALL NOW For details. STUNNING AGGRESSIVE LOOK ON THIS BEAUTIFUL--Call today to schedule a test drive... Good Credit/Bad Credit/No problem!!!! Get paid cash? No problem!! 100% Credit Approval with interest rates starting at 2.49% for qualified customers, our rates will not be beaten. We price our cars at wholesale price to guarantee the best deals for our customers. Our inventory moves quick, please call to confirm the availability of the vehicle of your interest Springfield location 973-564-0112. This vehicle is located at our SPRINGFIELD location. Come visit our new showroom in Springfield NJ.